Couple’s dilemma: Take 2nd job to afford Catholic school, or move away? Patti Ann says: I have a growing concern for the education of our four children. Our two oldest are in the middle grades of a parochial school in the Philadelphia suburbs. Both Tom and I grew up in Philly and went to Catholic school. We strongly hold our faith and see the Catholic schools as the best way for our children to learn about their faith; yet, things have changed. When we were young, our parish was the center of our community, both spiritually and socially. Today, the parish in which we live has undergone a lot of social change. Most importantly, it costs us over $3,000 a year per child for tuition. With high school looming in a few years, and the expectation to to pay over $8,000 for Catholic high school, I do not know how we will manage financially to have all four children in Catholic education. We are seriously thinking of moving into a better school district and sending our children to public school. We simply cannot afford Catholic education. Tom and I are dedicated to our faith. We live what we believe, and are good role models for our children. Before our twins enter school next year, and before high school is at our door, I want to make that move to enable our kids to have a great education as well as to continue to practicing our faith with two parents who have introduced their kids to Jesus and work and pray together daily. 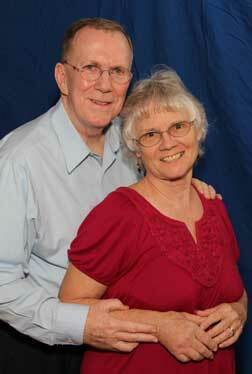 Tom says: Patti Ann and I have always been steady in our faith, going to Mass and contributing to the church. When we were young, we identified ourselves by the parish to which we belonged. Our faith was ingrained in us by our parents and our parish. I, too, am concerned by the expense of Catholic education. I think that it will be very difficult to pull off sending our kids to Catholic school. It will not be easy, but if I take some overtime or get a second job and Patti Ann continues to work more hours, we should be able to stretch the dollar to pay for a good, Catholic education. Couples who face the desire to impart their Catholic beliefs, do so first and foremost in the home, modeling Christ and teaching Christian values. Both Tom and Patti Ann appear to be informed, active Catholics who do meet that criteria. The daily introduction to Catholicism in a parochial grade school or a Catholic high school certainly introduces our children to people who share Christian values and are dedicated to further sharing the faith. Catholic school attendance also supports members of the Catholic community who are vested in working together to not only provide an excellent scholastic education but also to promote activities that allow Catholicism to permeate our lives. Tom and Patti Ann, like most couples, need to evaluate what a move would mean to their family. Do they have the finances to move? Will the new area be near their work? How about family connections and their geographic location? What is the connection with adult siblings and grandparents and how would this move impact those connections? How would the children feel about leaving their friends and going elsewhere to live and to attend school? Tom and Patti Ann need to sit down and discuss their finances and compare staying and paying, versus moving and changing schools. They need to consider all the particulars of moving and how that will impact their family versus staying and paying for the Catholic education they seek for their children. Perhaps they can meet with the Catholic school educators to determine if any scholarship or grant money is available through the school, the diocese or other groups (Knights of Columbus, alumni associations, other philanthropic organizations) helping to sponsor Catholic education. A move might not greatly impact the children if they go to a parish with a strong PREP program. Tom and Patti Ann need to meet first with each other and then meet with the children to discover what all of them think about this move. Prayer for insight on this is paramount. No one can provide a direct “yes” or “no” answer to this question of whether to move or not to move. Only this couple can decide, after prayer and much discussion, what will meet the needs for their children and their family’s future. “Know that the Lord works wonders for the faithful; the Lord hears when I call out” (Ps. 4:4). I am a member of my parish’s Finance Council (Corpus Christi, in Lansdale, PA). We have discussed this exact question many times, in the context of considering tuition increases due to overwhelming cost increases, especially for snow removal, and pension expense. Our Pastor has always said that families in the questioner’s situation should speak to him privately, for him to assess what can be done to help. I am not privy to those conversations, but believe that he has made adjustments to help families keep their children in the parish school, especially in cases of job loss. Unfortunately, some families equate need with “what is left after vacations, dining out, etc.” – i.e., need is often in the eye of the beholder. From personal experience, I would also point out that often the public school alternative combined with REC (called PREP or CCD in some parishes) provides a better education, especially in the sciences, and for children with disabilities. (My son was unable to attend our parish school due to a disability, but that was perhaps the best thing that happened to him because of the strength of our district’s autism program.) I suggest that the family also try to network with other families with children in public school for information about the programs available, and how well the religious program works.